Listener Jim from New York asked us to check out an interview possibility with people from Bike Friday, the company in Eugene, Oregon who make bicycles, including the one Jim rides every day. I spoke with John “Raz” Rezell who hooked Brock up with a Haul-A-Day test model to ride for a month and evaluate. 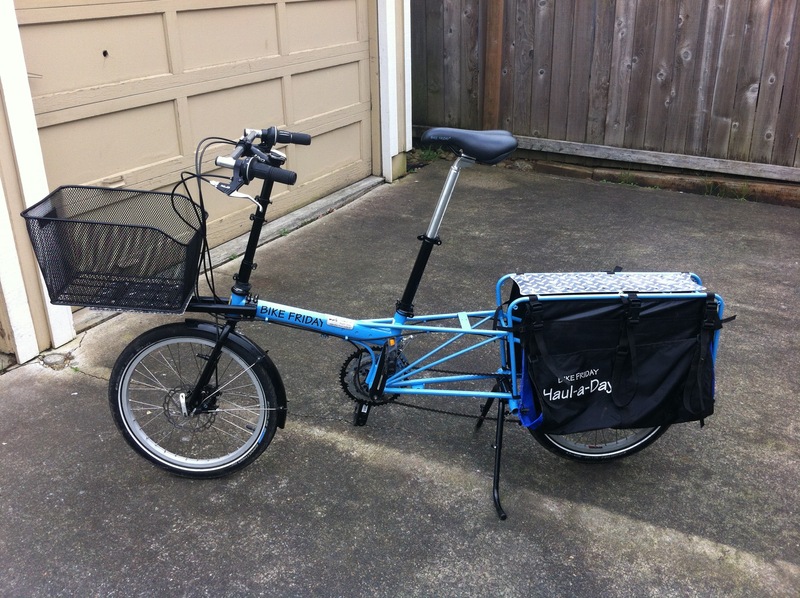 It was a fantastic ride and great for people who want to haul cargo on a bike that is designed to be portable! Thanks to Raz & Bike Friday for the loan and the conversation, and we look forward to speaking with them again in the future!